The fragrance opens with notes of apple and then the heart notes are described as fruity and floral with notes of white and orange flowers. The base has notes notes of creme brûlée, vanilla and sandalwood. I find the scent quite sweet but not too synthetic. Ive not tried the EDT version of this but the scent is very strong and pure, maybe a little heavier than some perfumes I've tried before. It's fairly creamy and uplifting and in line with it's blurb claiming to capture "A woman of youthful spirit, characterised by charm and passion". To me feel it's a little bit glamorous than youthful, with a bit of a vintage feel to it. I feel would be the kind of scent that would be perfect for spring. Personally I feel it's a bit too floral for summer for my personal tastes, we all know I love Estee Lauder Bronze Goddess! 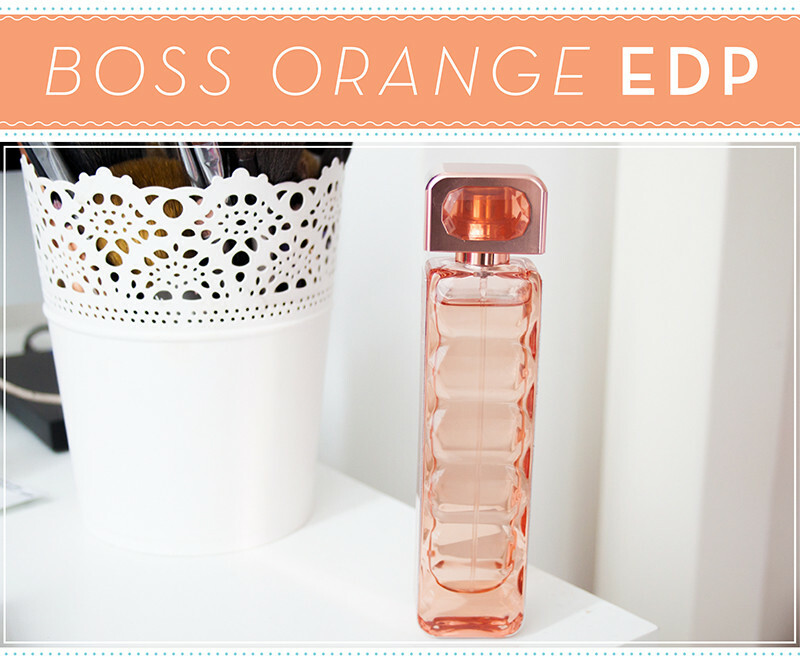 I like the notes of sandalwood and vanilla but I personally don't get many notes of orange or fruitiness. Which I felt were disappointing as I imagined it to be slightly more fruity and less floral. Maybe I shouldn't have read so much into the name. Also I feel like sometimes it can smell just a bit TOO sweet which I didn't like. The packaging is quite nice, it's rose gold which looks very pretty on my desk top (not that that should sway a perfume purchase!) In all I think this might be a bit too heavy for my taste, so I only apply very sparingly. I think that could be because it's an EDP rather than a EDT. While I do like it I have to use it quite sparingly and only one or two spritz's max!